M4V files should play on Mac, but it's weird that neither QuickTime nor iTunes can open and play some certain m4v files. If M4V files won't play on Mac using QuickTime or iTunes, try other media players installed on Mac. Right click the M4V file in the Finder, select Open With, and use other players that might be able to play the file. Haven't installed any M4V players on Mac except iTunes and QuickTime? Here're the top 4 M4V players for Mac worth a spot on your computer. Free download the M4V converter for Mac, MacX Video Converter Pro, to convert unplayable M4V files to QuickTime MOV, iTunes supported formats, MP4, AVI, WMV etc. and let you open and play M4V on MacBook Pro/Air, iMac etc. with any media player. 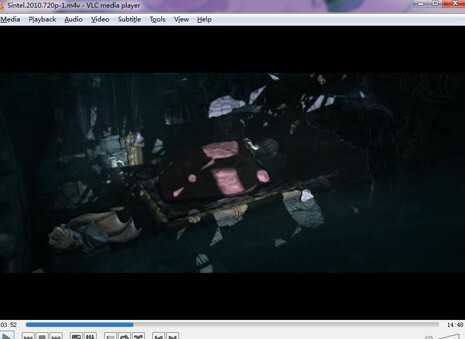 The free open source video player VLC can handle a large number of video formats, including M4V. VLC is better than QuickTime in video playback performance. If QuickTime won't open and play M4V files, VLC is a good alternative M4V player for Mac (learn how to play M4V in VLC). Even videos are out of sync or stutter in QuickTime, they are fine with VLC. VLC supports a wide range of file formats, such as QuickTime formats, AVI, WMV, MP4, FLV, MKV etc. What's more, it is a good HEVC player for Mac. Users are also allowed to add subtitle file and convert video file formats using the free M4V player for Mac. This free M4V player for Mac is not as popular as VLC but definitely worth trying. With the focus on media file playback, the player comes with a nifty user interface, simple and super fast playback of HD/4K videos. Surely, it does more than M4V video playback. 4K video player, MP4 video player, MKV, AVI, MOV, WMV, … 5KPlayer is a multi-functional and professional M4V video player for Mac. It includes tons of other useful features that many Mac M4V players don't have, for example, the ability to download YouTube videos Mac, play DVDs, VIDEO_TS folders, Airplay, the list goes on. 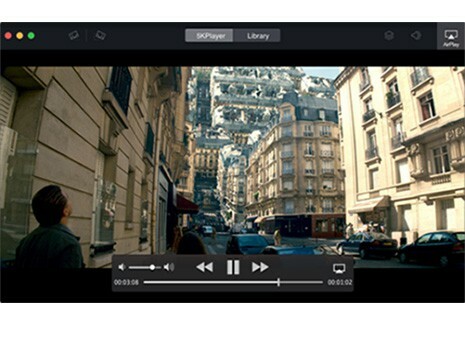 The M4V player Mac free version gives great HD video playback performance. Users can rotate, change aspect ratio and flip M4V videos. It also plays audio track including external ones and various subtitle files. As a free M4V video player for Mac plays various media files, such as AVI, WMV, FLV, SWF etc. that QuickTime may fail to play. The most annoying thing is that the M4V player for Mac keeps advertising its paid pro version. * Convert M4V videos on Mac to MP4, AVI, QuickTime MOV, WMV etc. to solve M4V playback issue. * Change aspect ratio, trim, crop, add subtitles for M4V videos to improve M4V playing experience. 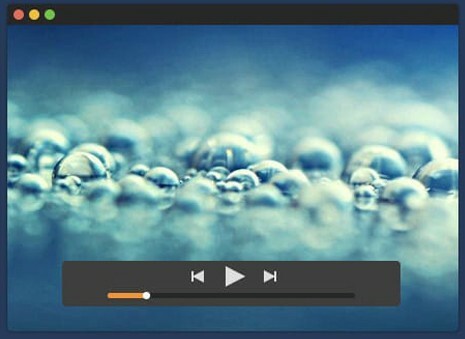 * Open and play M4V videos on Mac in a small window smoothly with wonderful viewing experience. * Download M4V videos, movies from YouTube, Vimeo, Dailymotion 1000+ video sharing sites. Step 1: Free download the M4V video player & converter for Mac (the latest macOS High Sierra also supported). Run it on your computer. Step 2: Click Add Video button to load source M4V files from your computer. The Mac video player & converter will load files quickly. Step 3: Choose an output format from the popping up Output Profile window. 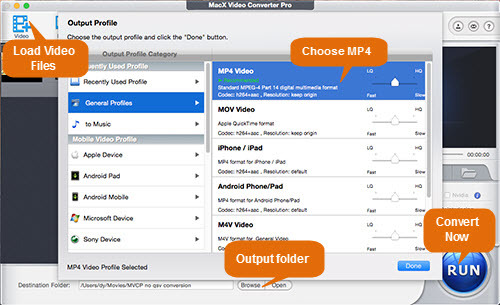 You can convert M4V to MP4, M4V to AVI, M4V to QuickTime MOV etc. for playback on any media player installed on Mac. It also converts among SD and HD videos, like MKV to MP4, WMV to MOV, AVCHD to MP4, to name a few. Step 4: Click RUN button to start M4V video conversion on macOS. Now, your converted M4V files should play on Mac, requiring no M4V codec. Free download the all-around M4V player and converter, to play M4V smoothly in small window, as well as to convert iTunes M4V to MP4, AVI, MWV, MOV etc. with 5X faster speed to play M4V files on any media player without issues.